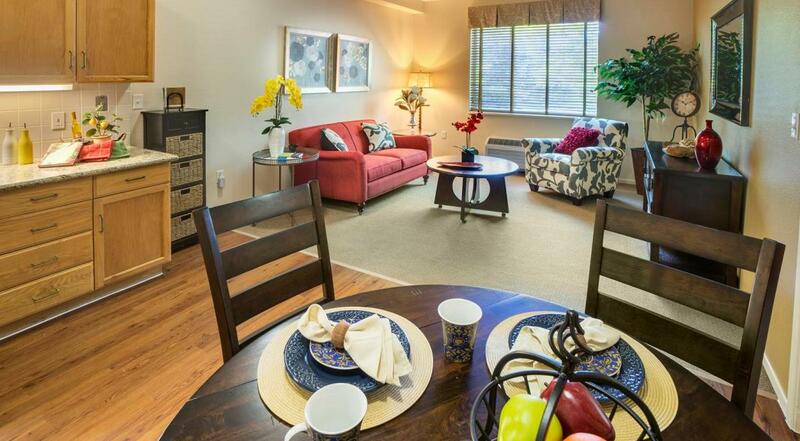 At Eskaton, we call our homes communities not facilities. Our goal is for our communities to be warm and inviting homes for anyone who wishes to be served by professional, loving staff. In fact, the apartments at Eskaton Lodge Gold River are spacious and private with all the amenities of home. One way to learn about senior housing is to download the Senior Living 101 guide. It will show you the differences between independent living, assisted living, memory care and nursing homes. After you review it, if you have more questions we'd be happy to assist. You are welcome to come for a tour at anytime. Eskaton Lodge Gold River is located on the fringe of the American River Parkway in an master-planned community with shopping, medical services and restaurants nearby. Along with award-winning assisted living services, we offer pre-memory care for residents experiencing mild cognitive change, as well as Dawn of a New Day Memory Care for those with Alzheimer's disease or another form of dementia. We also offer short-term stays, known as respite care, when a family member needs a short break for some rest and relaxation. Our social, wellness and cultural programs offer interaction and friendship. And you'll enjoy the adventuresome outings and entertainment that we have on a regular basis. Watch this video to learn what our residents have to say about living at Eskaton. Please take a moment to fill out the form to talk with a representative. You can also follow us on Facebook here. 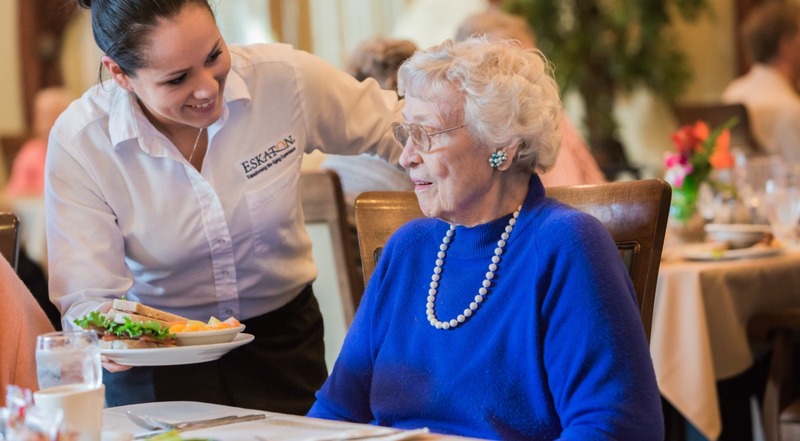 We're Eskaton, and we've been around for 50 years providing innovative healthcare, housing and social services to older adults in Northern California. We look forward to showing you what "Age is Beautiful" really means. CONTACT US TODAY TO GET YOUR QUESTIONS ANSWERED! The children are as excited to see us, as we are to see them. 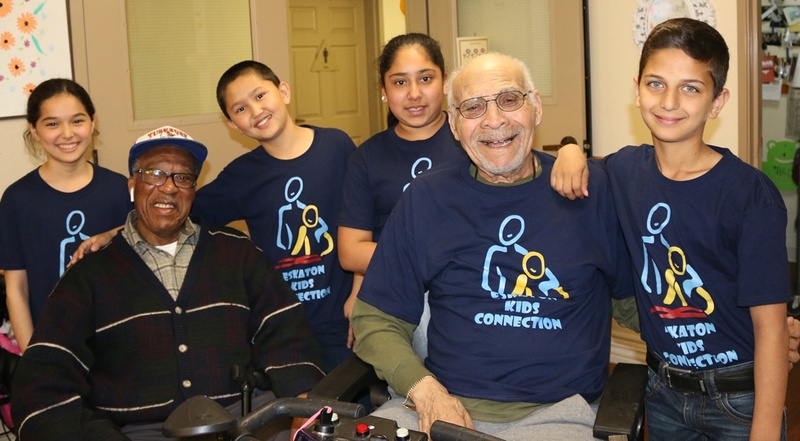 Eskaton Kids Connection...bringing generations together! I love how friendly the residents and staff are. The food is always excellent and beautifully presented.